Craniosacral Therapist, Certified Professional Midwife, Retired Doula, Educator, and Founder of Northern Lights Wellness LLC, as well as Northern Lights Wellness Professional Education LLC. For over 26 years Deb has been providing support for mothers and babies during pregnancy, childbirth and beyond. Her passion for supporting birthing women and children has inspired her to pursue a varied career developing national and international programs within the SIDS and birth communities. 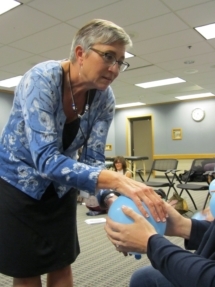 In addition to Craniosacral Therapy, Deb uses Reconnective Therapy techniques to help the body reconnect to information about ideal structure and function. This form of gentle energetic work involves asking the body what is needed and facilitating reconnection to the information within the client’s body through resonance. Her current projects, in addition to serving clients in Duluth, MN, are teaching around the USA and around the world. 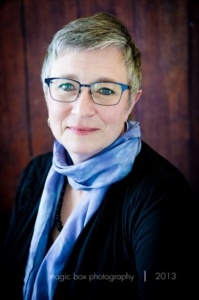 A dynamic presenter, Debra has developed educational programs and taught medical professionals and students, doulas, massage therapists, and parents. Well-known for her ability to share information in ways that are easy for various audiences to understand and grasp, she has developed a reputation among health providers as a gifted educator. Her passion for helping audiences understand structural issues and their impact on the birthing process has led her to develop a number of educational programs for birth professionals and families. Deb sees clients by appointment only on Monday through Friday.